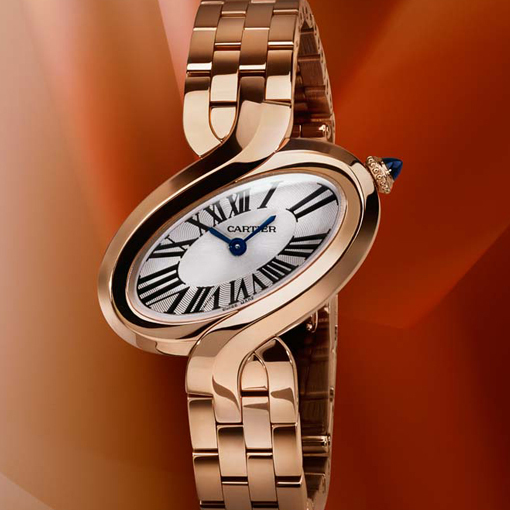 While there are some watches that hold a unisex appeal, the Cartier Délices W8100003 is nothing but feminine. From the curvaceous shape to the 18K rose gold material this watch is girly and sweet, but not without intrigue. The ovular 18K rose gold case is set with a lacquered silver dial. The dial is adorned with black Roman numeral hour markers at every hour and sword-shaped blue steel hour and minute hands. It is all protected by a scratch-resistant sapphire crystal window. The blue steel hands pair elegantly with the circular, grained crown set with a sapphire cobochon. The shape of the 18K rose gold bezel lends this timepiece and air of fluidity that flows flawlessly into the 18K rose gold link bracelet that fastens with a folding clasp. While there’s nothing not to love about the Cartier Délices W8100003, this particular watch does come with a few alternatives. While the general shape of the Délices line remains the same, this watch can be found in a large case size (the featured size is the smaller of the two), with diamond accents, in white gold, or with fabric bands. This particular model retails a little over $20,000, and you can expect to find a significant increase in price as the size and number of jewels increases. While this timepiece is elegant and would make a wonderful accessory for any special occasion, it is almost certainly not a watch for daily wear. This timepiece does not come with any of the practical amenities that make for a great day-to-day watch. For example, it lacks a date-window and second hand. However, these features are not necessary for a dress-watch, and one could easily argue that such additions would subtract from the overall beauty and impact of this timepiece as it stands. In short, it’s easy to see how this line of watches received its name. 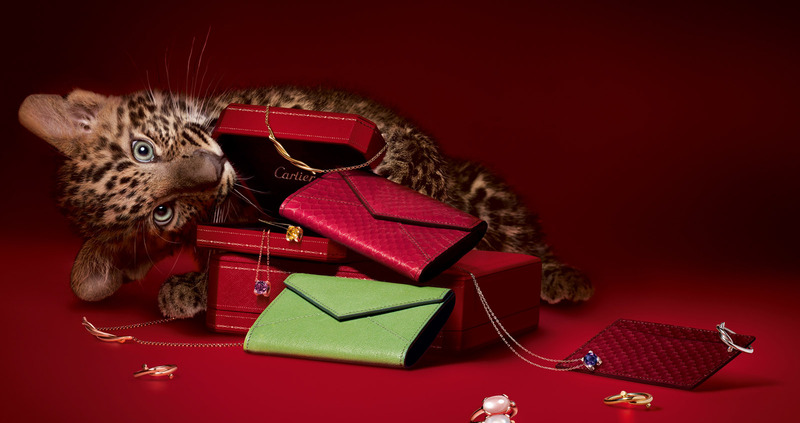 They are nothing short of delightful, beautiful, voluptuous, eyecatching timepiece that are backed by the reliability and accuracy of the Cartier name.